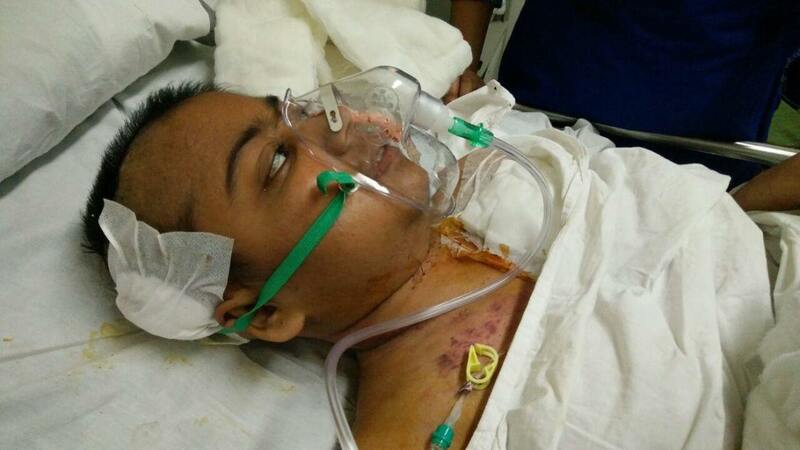 My sister, Lata Sachan is turning 26 in June but she has been fighting for her life since the end of last year. She is a bright and active young lady who loves dancing and working for social cause. 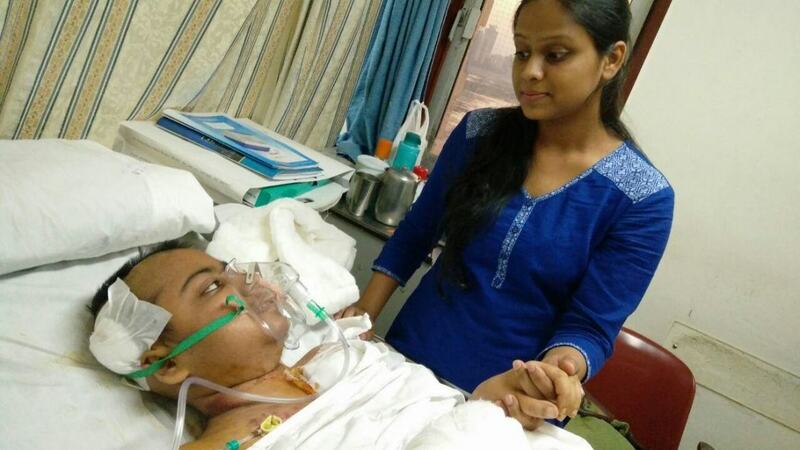 She was one of the volunteer in Robinhood army in Navi-Mumbai and many such organisations. Working as a keeper in Union Bank, she was dreaming to studying abroad. It was September end of 2016, when she started experiencing frequent fever and extreme headache. We took her to the doctor and did all the medical tests. But the reports were normal and it was concluded that it’s a normal fever. Meanwhile, we had to go to our native due to sudden death of our beloved aunt. She was sick even there, for which we took the interim care with the local doctor. She had to return alone back home due to her office work. It was 14th of Oct night, she got extreme fever. We took her to Terna Sahaydri Hospital in Nerul and admitted her. Various test concluded into Tuberculosis and TB was confirmed in her case. She was admitted there for nearly 20 days and discharged for further medication at home. Back home, her fever and headache were more frequent. Nearly after 10 days she started experiencing double vision from her right eye. We informed doctor and we were asked to admit her as soon as possible. We took her to newly opened Apollo hospital in CBD Belapur which was at a convenient distance from our residence. She was under observation for 5 to 6 days when she suddenly collapsed while drinking water. She was immediately moved to ICU section and various MRI and other contrast brain CT scans where done. Reports showed, increased pressure in brain region due to extra protein content. Following this, we came to know that her TB has progressed to MDR TB with meningitis. To proceed, my dad was called, who works on an oil rig, for a crucial decision. 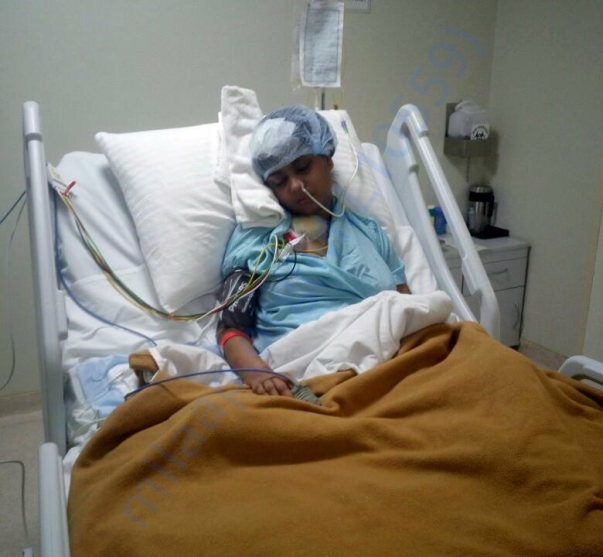 On upon the permission, she was operated for external ventricular drain surgery which involves manual drilling of an opening in the skull to take out the excess fluid. 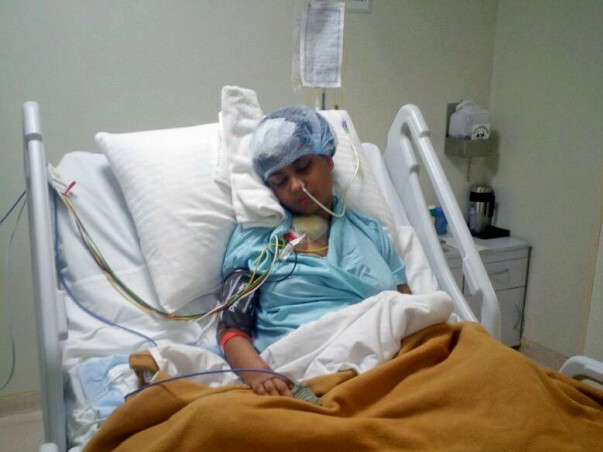 Her condition deteriorated and on 28th Nov, she was again operated for VP shunt surgery. Still her condition worsened and was repeatedly operated for another ventricular drain surgery on 7th Dec. All this period she was in ICU and her medical expenses were going unbearable so we decided to shift her into a little less expensive, Terna Sahayadri hospital. 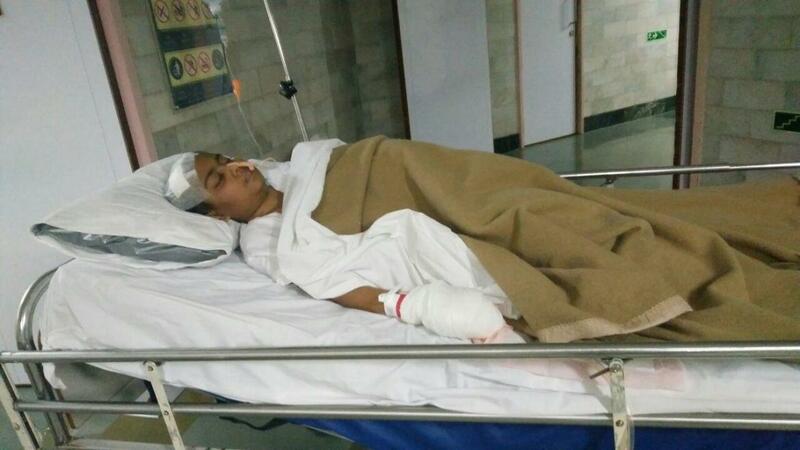 On 10th of December she was shifted to Terna hospital, Nerul. There was no improvement in her condition. She barely use to speak and make any body movements. 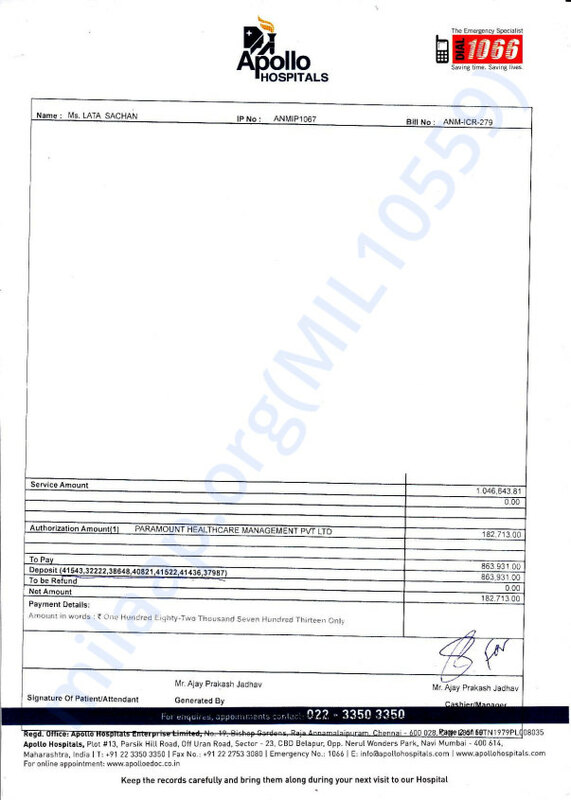 Here, she was regularly operated for CSF collection. We never saw her this lifeless and slothful. It was terrible for us to see her in this condition. We tried our way best to reach all the top consultants in field of TB including all the renowned doctors like Dr.Zarir udwadia – chest physician at Hinduja Hospital, Dr.B.K Mishra- HOD of neurology at Hinduja also Dr. Ashok Mahasur- chest physician at Hinduja. They all indicated that it’s a life threatening disease and one of the rarest of TB. All this made us extremely fearful. Don’t know why, we decided to make a quick visit to Shirdi and pray for her. God was our only hope. Unfortunately, this decision was the worst decision we ever made in our lives. It was 25th Dec, Christmas morning, when the whole world was celebrating Christmas , we met with a horrible accident while we were on our way to Shirdi. 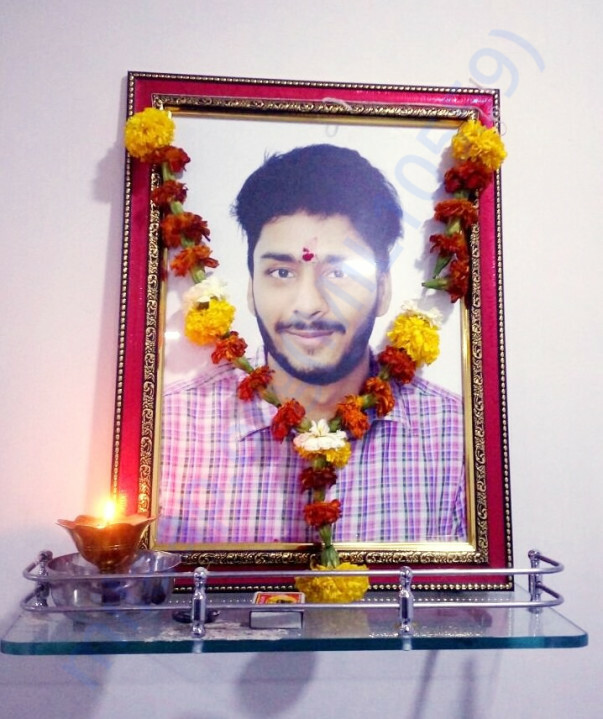 In the tragic incident, I lost my only brother Shridhar (20) and left my dad with one leg and both the hands broken. My aunt, who was with us, survived with heavy brain injuries and is on ventilator from that night. This horrible news was not conveyed to my sister and dad for obvious reasons. He was informed about my brother’s demise after the funeral. Presently my aunt is on ventilator and we are waiting for her to get in conscious state. It feels like we are in middle of something very unfortunate with bad news hitting us from all direction. It feels like a dead soul to see my entire family on hospital bed and one of us is no more. Shridhar was always up running, trying to find anything that could help Didi .Getting in touch with doctors to collecting reports, medicines and advices. We miss him every second. Lata’s current progress is on the negative side. The right part of the brain is heavily affected by the MDR-TB bacteria and she is fighting the same. We are fearing that it shouldn’t spread to the left part of the brain. She needs expert treatment in terms of MDR-TB and the meningitis in her brain. To bear with the medical cost for availing these expert treatments and 24/7 observation, is simply unbearable and out of our financial extent. We have currently shifted her to the general facility of Terna Hospital. We are not currently able to afford the medical expenses but we do not want to give up on my sister. I have already lost my brother and don’t want to lose her. We are desperately seeking help from anyone who can please help us financially or in any form to give my sister the best chance of surviving. For any other details please reach me directly. I would be indebted and grateful for the rest of my life. My brother - who we lost. We would like to thank you all for the contributions to provide the highest quality of care to Lata. Unfortunately, despite the medical team’s best efforts, she passed away on 16th March 2017. It took us a little time to get in touch with the family since they are still in the shock of losing Lata. The multiple brain strokes had caused a lot of damage to the brain. It was a situation from which things could not get better. She was admitted to the ventilation for almost 5 days. However, all of a sudden, her heart beat became very slow and before any further medications could be provided, she passed away on 16th, at around 7:19 pm. Lata was responding well to the treatment and was asked to further continue the medication from home. In fact, the condition was so much better that she used to interact well and ask for food ,also do her routine exercises on her own. Everyone was happy with the progress she has made. Keeping in mind about the infection she could get being in the hospital, doctors recommended to further continue the medication from home. Lata was excited to be at home ,back with all her loved ones. She was discharged on 3rd march,2017 and was settled at her residence in Belapur with all the necessary arrangements. While she was bed rested, we noticed that she couldn't feel or move the right area of her face. We took her back and admitted to hinduja again upon which we were told that it was due to a brain stoke. While she was in ICU, she underwent multiple brain stokes leading to unrecoverable damage to her brain. 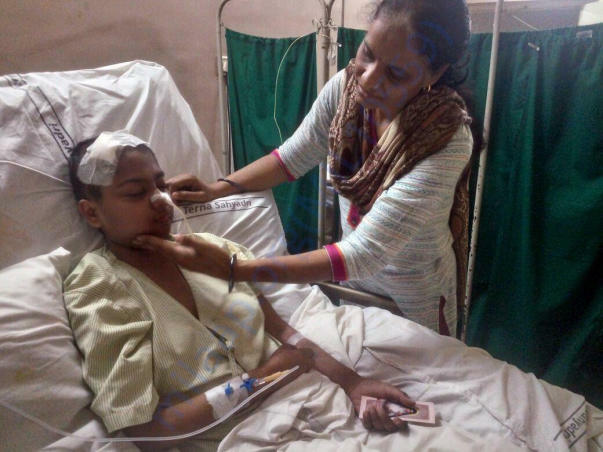 We are terribly scared with this and as told by doctors, Lata is fighting a losing battle now. She is on ventilator now. Hello All, sorry for the delay in updates. There is too much going on and we couldn’t sync up with the updates. After the first EVD at Hinduja, the medical treatment has been followed by two other surgeries. On Friday, 27th of Jan, she was taken to 3rd floor OT for her next two surgeries.VP SHUNT and PORT insertion. The whole operation procedure took around 7 hours, including the recovery period after the operation.VP Shunting was performed by Dr.Mishra and Port insertion was done by Dr.Naphade. Her responses are very unpredictable, we keep on talking to her just as we can’t really say, when she would respond. We do get lucky sometimes. She usually talks about family members and other normal things. Doctors at Hinduja are very supportive and always share a positive note to us. Lata is now shifted to general /median ward at 9th floor bed number 18 as the charges for continuous ICU is significantly high and things could be managed in less expensive median ward. Presently she is on RT feed and oral intake. We have been informed that any progress will take a long time to show up. It a long path and we need to be extremely strong mentally as well as emotionally to face all the difficulties on the way. There will be lots of ups and down in our way but we are strong and determined. lata after the two surgeries. Once again a hearty thanks to all the supporters to help us reach the target donation. Current target is achieved but we really don't know about the amount of monetary support we would be needing to fight this battle.In same regards,we are not closing the donation lines. Please share in your network.